Yaroslav the Wise National Law University planned to open a career development center for teachers of criminal law. 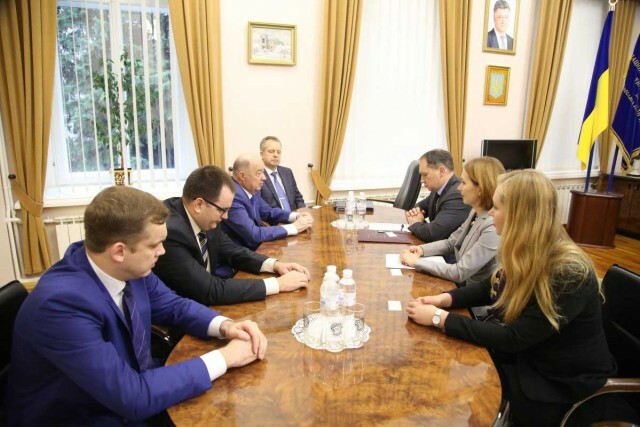 This was discussed at the meeting of the OSCE Project Coordinator in Ukraine Vaidotas Verba with the rector of the University Vasiliy Tatsiy. They also discussed the development and introduction of modern methods of teaching, cooperation for the reform of legal education in Ukraine. The visit of Verba associated with the opening at the University the autumn school of the OSCE criminal law. It was attended by 27 representatives of universities and research institutions, in particular Yaroslav the Wise Law University, Academician Stashis Scientific Research Institute for the Study of Crime Problems, Karazin Kharkiv National University, Kharkiv National University of Internal Affairs, I. Franko National University of Lviv, Petro Mohyla Black Sea State University.